Initial management for upper GI bleeding should always focus on hemodynamic resuscitation prior to risk stratification. Once resuscitation has begun, the three most commonly used risk stratification tools are the Glasgow-Blatchford Score (GBS), the Rockall score, and the AIM65. 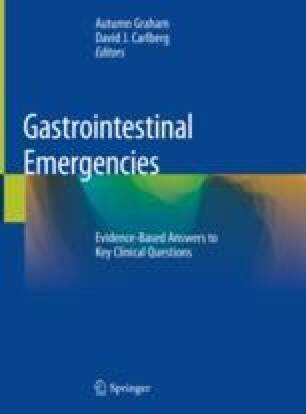 The GBS has been validated as a tool to discharge patients from the ED for outpatient upper endoscopy. The Rockall score and the AIM65 are most helpful when deciding if the patient needs an intensive care setting and predicting mortality and for stratifying urgency of endoscopy. Lactate and lactate clearance after resuscitation may also be used as a predictor of patient outcomes in the setting of an upper GI bleed. There are no validated clinical decision tools for risk stratification of lower GI bleeding.